What’s coming to Tyler May Books! You’ll notice that I am still updating my website. I appreciate your patience and look forward to hearing what you all have to say about it. I did update my book trailer section. It has all book trailers of the books(except Mocha’s Help) that I currently have made or are in the works. Also, I uploaded a few pictures in My Workshop. I will be arranging and adding more photos, but in the mean time, I am taking orders for awareness pins, magnets, and bookmarks. These awareness ribbon can be made for any cause not just ones I have pictured. If you’re interested or have questions, please contact me either on email( authortylermay.com ) or in private message on Facebook. Thank you all for your support. Much love. 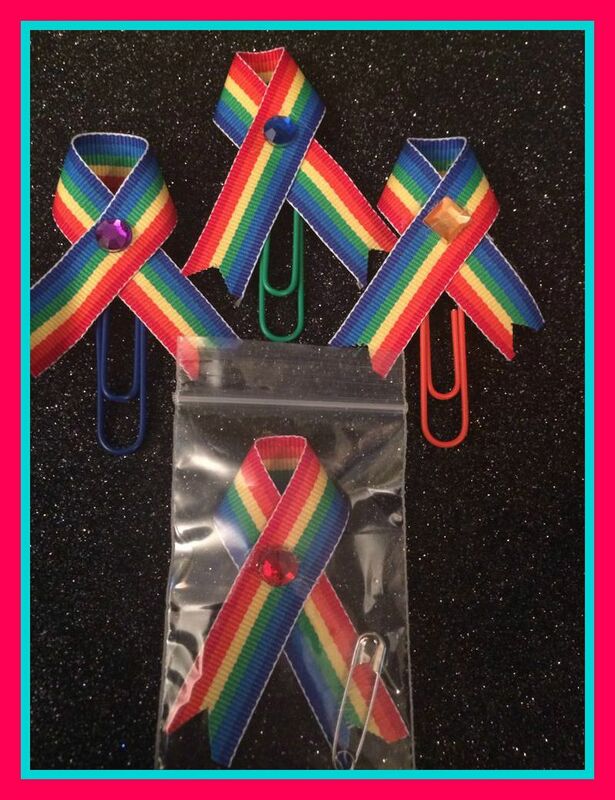 LGBT Ribbons, bookmarks, and magnets.